National Security and Defence Council (NSDC) Secretary Oleksandr Turchynov has said he is not afraid on new Russian sanctions against a number of Ukrainian citizens and legal entities, including him. "In my opinion, the only possible comment on these Russian sanctions is that they scared hedgehogs with their bare derrieres. That is it," the NSDC press service quoted him as saying. 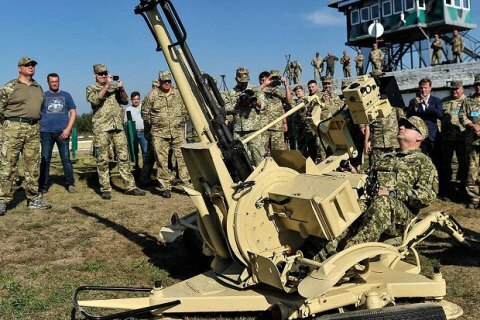 Turchynov was attending an air defence drill at a training range in Kherson Region close to Crimea. On 1 November, Russian Prime Minister Dmitriy Medvedev signed a resolution on economic sanctions against Ukraine, targeting 322 Ukrainian nationals and 68 companies.